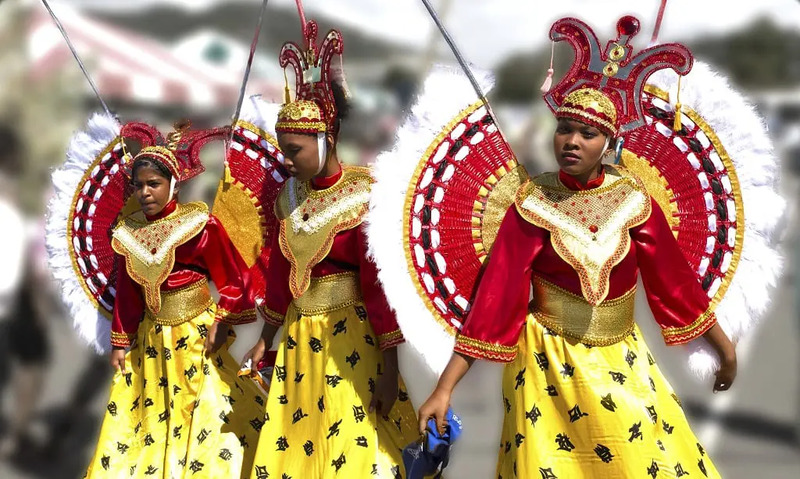 The World’s greatest party might be in Rio de Janeiro, but the Trinidad Carnival is a mix of centuries of tradition and solid fun. Officially, the Trinidad Carnival begins on the Monday before Ash Wednesday and finishes the following day. In 2019, this falls on 4 and 5 March. However, there is a series of great events around these dates in Port of Spain, and it could really be said to start a couple of days earlier. Sure, it’s not on the scale of Rio, though paradoxically that is one of the Trinidad Carnival’s strengths as you can feel much more a part of the event, whether as a spectator or perhaps a participant, as there is much less separation between visitors and home team. In the spirit of a last burst of enjoyment before Lent, there’s a lot of loud music and much rum, or other forms of alcohol. The music is a mix of soca, steel pan, calypso and chutney – a mix of Indian folk/Bollywood and soca. Trinidad was conquered by the Spanish Empire. However, the underpopulated island encouraged planters from the French Caribbean islands to settle after the French Revolution and many migrated here, bringing their slaves and system of farming with them. It is from this group that the tradition of celebrating Lent originated and continued after the British conquered the island in 1797. Originally, there was a Carnival for the white ruling elite, similar to the Masquerade, and a secret Carnival for everyone else called the Canboulay, or ‘burnt cane’. Elements of both eventually merged to form the modern-day celebrations. 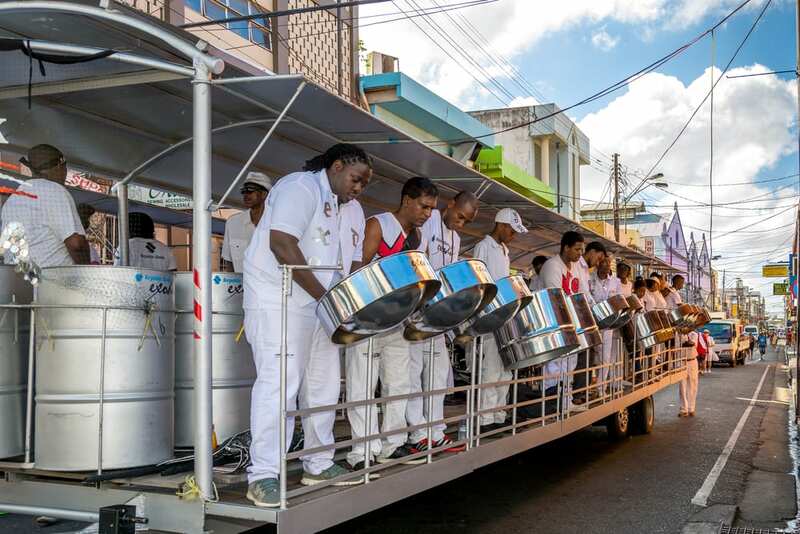 On the Saturday before the official start, Trinidad’s very own invention, the steel pan, takes the lead in the Panorama Competition. Here musicians are separated into different categories, based on the size of the groups, and the performance starts at 7pm. For tickets to this and for Sunday try here. 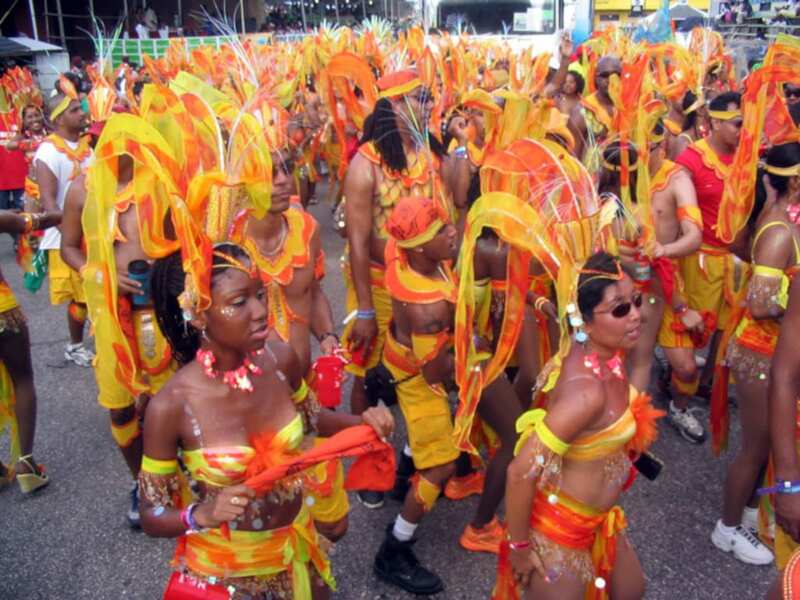 The Trinidad Carnival is a colourful explosion of exuberance. The next day the Calypso King or Queen is crowned in Dimanche Gras. The Monarch from the previous year faces off against those who would take away his or her crown. This can go on quite late so keep track of time or you might not get enough sleep before the main event begins the following day. Monday starts early with J’Ouvert, from the French for ‘break of day’, when crowds congregate in the streets covered in oil, mud, paint, powder, grease and even chocolate. Dance in the street to greet the rise of the sun. Do not wear any clothes you want to wear again. Similarly, expect big hugs from everyone around you. It’s free and fun. Over the next two days the Masquerade bands march and dance with their followers in costume joining them in what is called ‘playing mas’ locally. Each one will have a particular theme or motif. Around the Carnival season are the fetes or private parties. Often all-inclusive, these vary from those in luxurious hotels to cheaper events in clubs and bars. There are several web pages offering fetes, but one that is quite comprehensive is global carnivalist. These two days are your chance to become part of the Carnival. This is how you can do so. When you choose your band, look to see if it is all-inclusive, in that many now include food and drinks over the two days, which makes things convenient. Prices range from about £150 to over £800. In choosing your band, a good site to visit is It’s Carnival, where you will find 25 to 30 groups and a short blurb on each. Find one that appeals to you then paste the name into your search engine to get in touch with them directly. Each one prioritises a different aspect. Some make claims of longevity or are attached to a well-known name, perhaps a singer or a fashion designer, or both. For some the focus is on costume design, one states that the design is “green”, others are family organised, one focuses on “customer service” and another is from the Catholic Church. Do your research and choose a long time before you go. As part of your preparations, get ready to wine, in other words to gyrate your hips. You can practice using YouTube, or pick it up as you go along. All you have to do is move your hips in a figure of eight. Got it? Great, then off you go. Keep it up for a couple of days. When you collect your costume, it will come with the shorts/bikini, head pieces and leg/arm/wrist bands, etc. You can augment with makeup, glitter, body paint etc. Your costume will come in one of two types, option 1: revealing, option 2: very revealing. Should you have toned up a bit before deciding to do all this? Only you know the answer to that. Remember to bombard friends and family with lots of photos. Carpe diem. Thinking of taking a holiday in Trinidad and Tobago? Read Caribbean Getaway: Trinidad or Tobago? The carnival is on 4 and 5 March, 2019. If you are looking for accommodation for the Trinidad Carnival try our Hotel Booking Portal. There are direct flights to Port of Spain from Toronto, Houston, New York, Fort Lauderdale and Miami. If you need more information about the carnival and for things to do in Trinidad and Tobago, visit here.